My Chickpea Quinoa Veggie Burgers Featured on Chow.com! 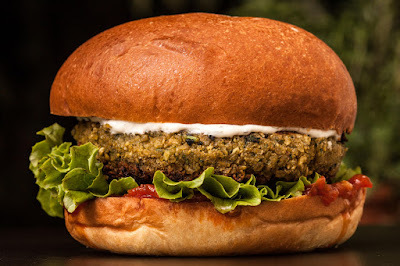 I had to share that my Chickpea Quinoa Veggie Burger recipe was featured on Chow! I simply adore this recipe and make them all the time. I originally wrote this recipe because I'd grown frustrated with bland grocery store offerings and also wanted to make a Gluten Free veggie option. This recipe has also been published by Meatless Monday and other publications.